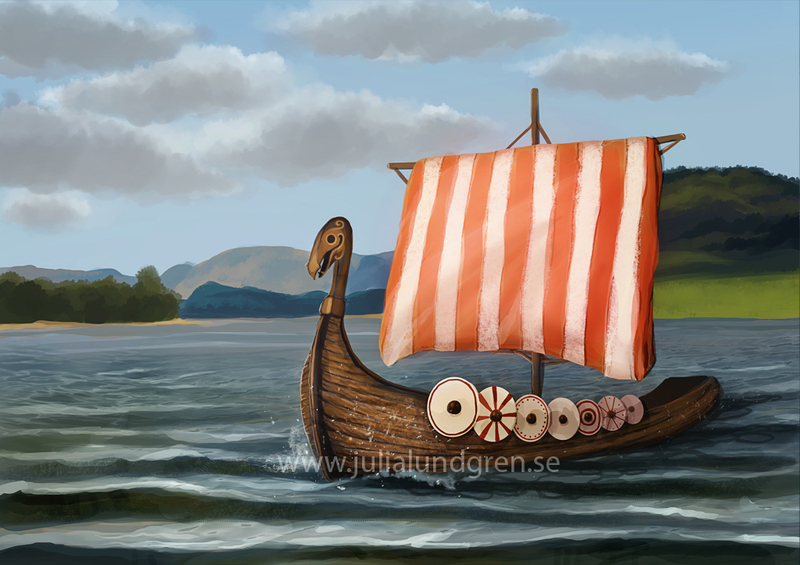 A viking age inspired ship, mostly made as a practice for drawing water. I didn't have a lot of time for this picture, so therefore it unfortunately lacks any crew on the ship. On the other hand, maybe that's the very story behind the painting, why it's just a lonely ship, where it came from, where the crew went, and so on.